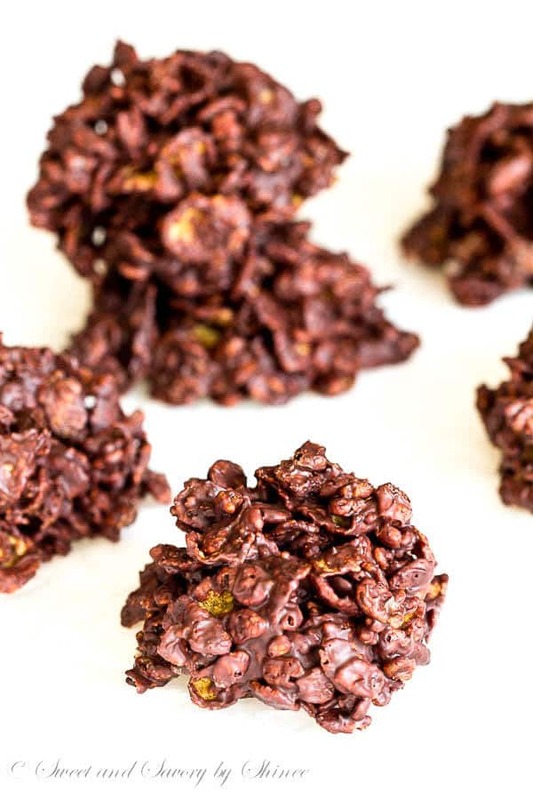 Irresistibly crispy and light, these no-bake orange infused chocolate crisps are easy to make and require only 4 ingredients. Perfect holiday treat! Well, hello there! Happy Saturday!! I’m just out of Thanksgiving food coma. ? 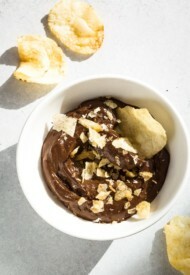 Hence I didn’t get to post this amazing chocolate crisps recipe yesterday. Honestly though, I was crazy busy snagging awesome Black Friday deals! No, no, no, I didn’t actually leave the house for the madness in the stores. Instead, I cozied up on my couch surrounded by thousand pillows (the only way to get comfortable these days!) and with the computer on my lap. I mostly shopped for my little nugget, and oh em gee, too many cute stuff out there for little ones. I didn’t have anything for my baby yet, so it was time to stock up! Now, I can’t wait for the packages to show up!! Anyway, I know you’re not here to read about my shopping spree. 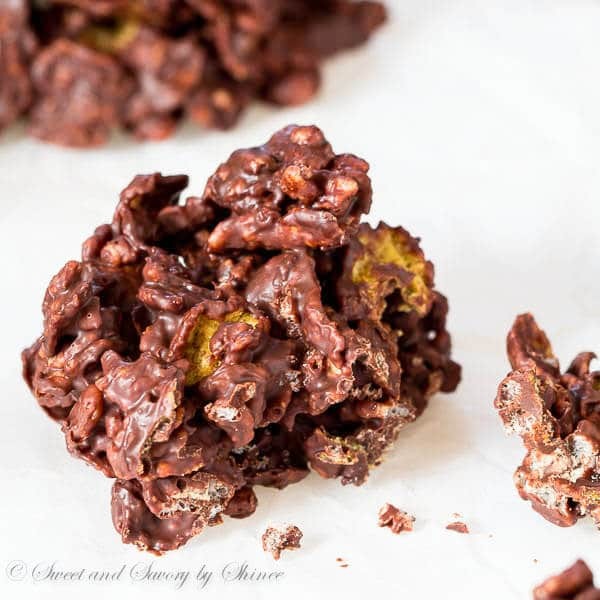 You are here for these delicious crispy chocolate clusters! 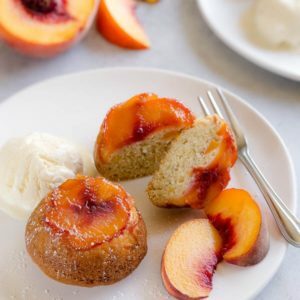 These little treats don’t involve any baking. 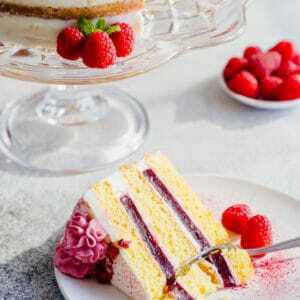 Just melting, mixing, scooping and waiting! That last part, waiting, is the hardest of all. 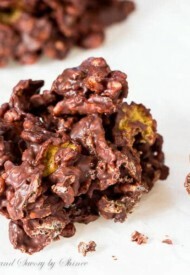 In my version, I added a bit of rice krispies for added light crispness and infused my chocolate with orange zest. I think Ina used a combo of dark and milk chocolate in hers, but since I love the intensity of dark chocolate, I used all semi-sweet chocolate. A funny story… To infuse my chocolate with orange flavor, I went all fancy and added a touch of Grand Marnier (against my better judgement). Oh, no-no, never ever do that! Unless you’re making orange chocolate ganache or something. Here’s why: my beautifully smooth chocolate seized up when I stirred in the liquor (delicate melted chocolate either needs lots of liquid or none at all!). Anyway, fresh orange zest adds plenty of orange flavor though! Don’t make my mistake, stick with the zest. In a large bowl, mix together corn flakes and rice krispies. In a medium heat-proof bowl, melt the chocolate over simmering water, stirring occasionally. Make sure the bottom of the bowl doesn’t touch the water. 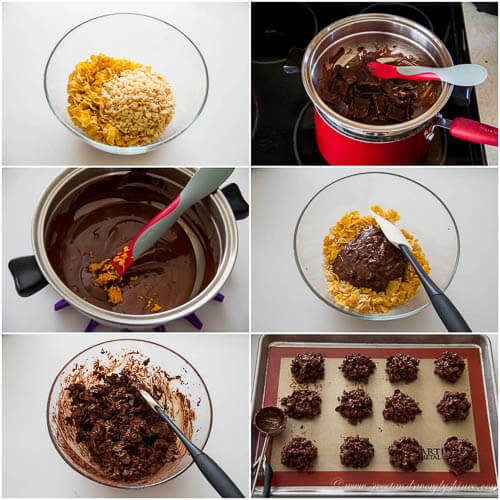 Add the orange zest into the melted chocolate and pour the chocolate over the corn flake mixture. Gently mix everything with a rubber spatula until all the cereal is coated with chocolate. Using a large cookie scoop (or 1/4 measuring cup), scoop out the mixture and drop it on a baking sheet, lined with silicone mat or parchment paper. Let it dry for at least 2 hours, or until firm. 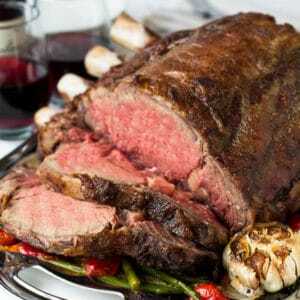 Store in airtight container at room temperature for up to 5 days. MY husband would go crazy for these- all his favorite things put together! 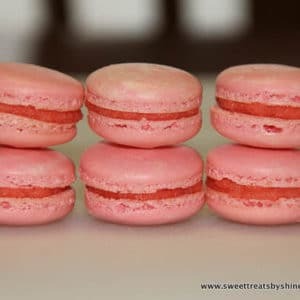 Oh, you’ll need to make these for him them! They disappear in a flash! 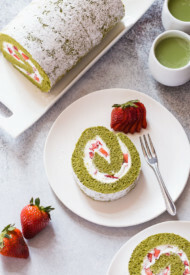 What a fun, easy delicious looking recipe! 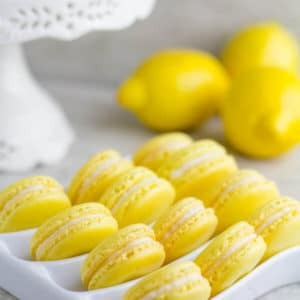 I’m definitely going to make these!! I love everything about this – keeping it in mind for holiday cookie trays! 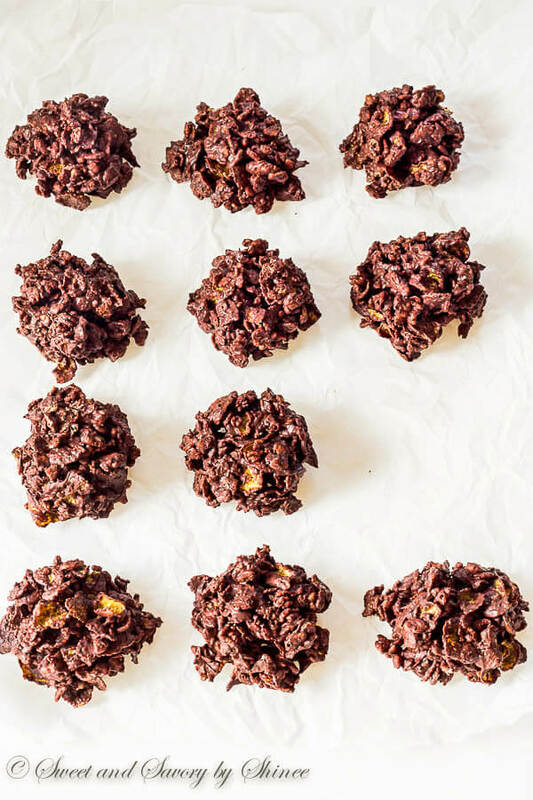 Yes, these’d be a perfect addition to holiday cookie tray. 🙂 Thanks, Kristina!